An insight into the supernatural, true crime and the occult from a modern day perspective. Oh, with a glass of wine of course... maybe two. Hello All, Guess who's back and better than ever. Welcome to episode 4, our first weekly uploaded episode! We have gone above and beyond this week and it's a good one for you to get stuck in to. This week Leah chooses an extremely mysterious and eerie land which turned out to have more connection to us than we could have even guessed... Gemma talks about the benefits of one of her favourite things (although the efficacy of those benefits are extremely questionable) We have some exciting surprises which leave us both baffled and (nearly) speechless. Come and join us and let's whine about it. Stay Sassy. Hello All, Welcome to episode one in which we both drink 1 (or 2) too many glasses of wine. Gemma dives right in to 'the most haunted house' in Britain, uncovering witches, demons, and a succubus. Leah eases us into the world of herbs, teaching us about one of the most well known herbs in existence - can you guess which one? So grab a glass of your favourite beverage, sit back and buckle up because we have no idea what we're doing.. Let's Whine About it. Hello All, Goodness Gracious you are back. Hope you found the first episode mildly amusing and are back for more, not just back to laugh at us! To be honest we'll take either... It's Leah's turn this week to tackle the spooky and spectacular, ever heard of Surrey's most haunted body of water? - ft Gin and Agatha Christie. Gemma has a go at herbs this week, delving into a subject close to both of out hearts. Still sassy and silly as before, we are #keepingitreal. Don't forget your beverage.. Let's Whine About It! © 2019 OwlTail All rights reserved. OwlTail only owns the podcast episode rankings. Copyright of underlying podcast content is owned by the publisher, not OwlTail. 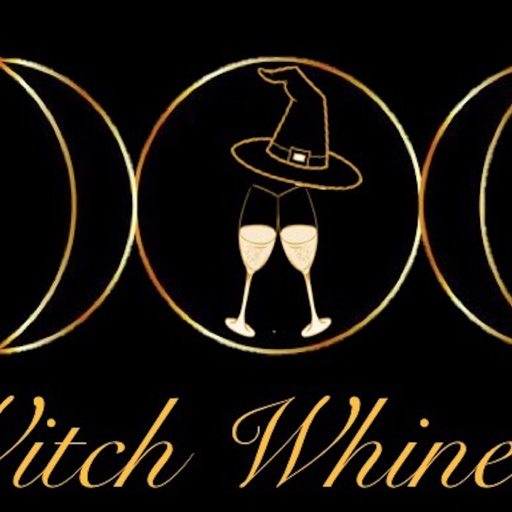 Audio is streamed directly from Witch Whine servers. Downloads goes directly to publisher.